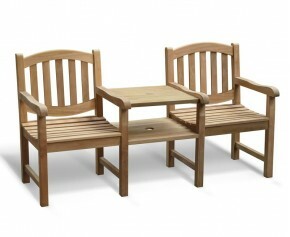 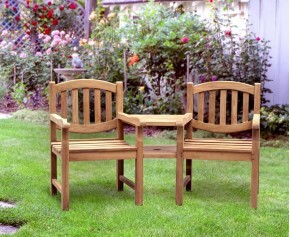 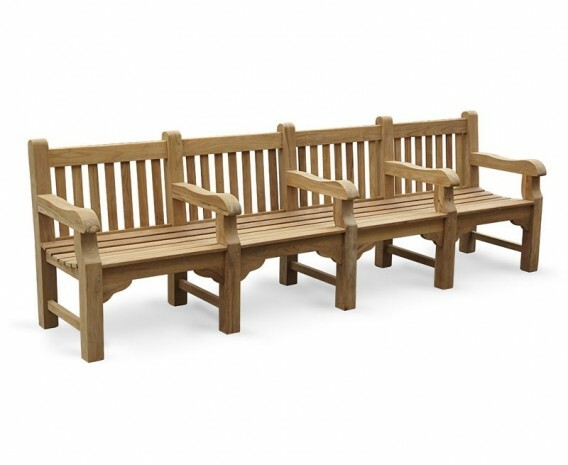 This park bench, or wooden teak street bench as it sometimes known is ideal in more spacious outdoor areas, providing plentiful seating whatever the occasion. 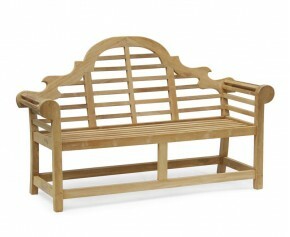 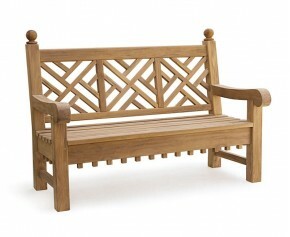 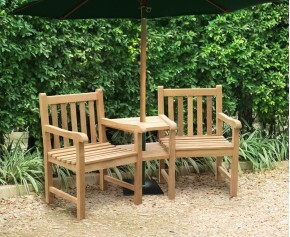 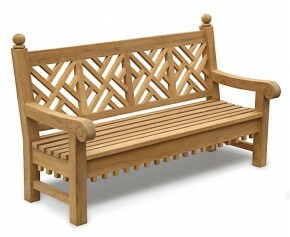 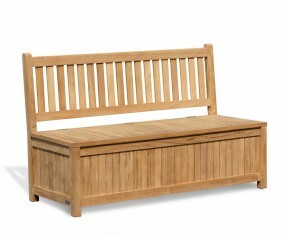 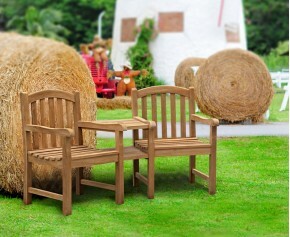 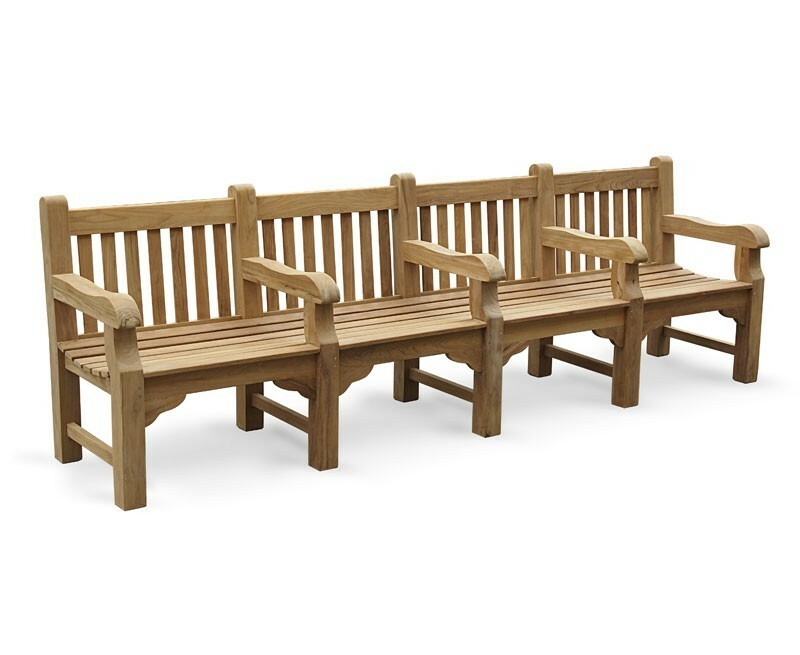 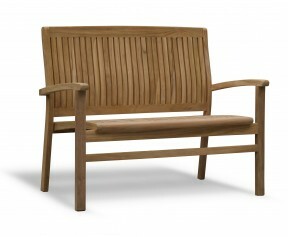 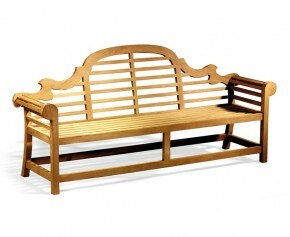 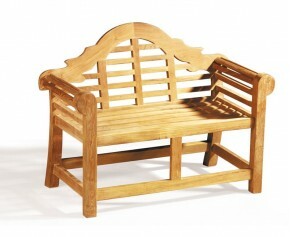 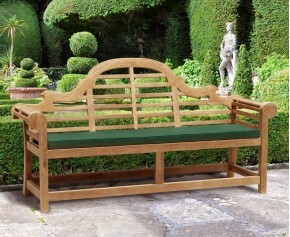 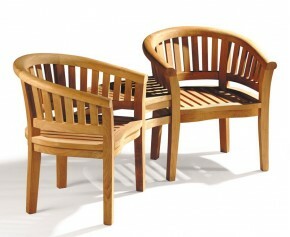 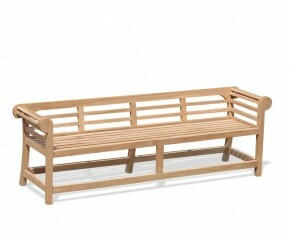 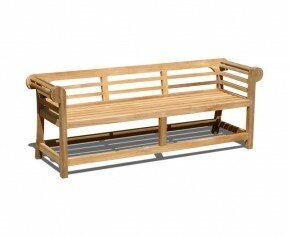 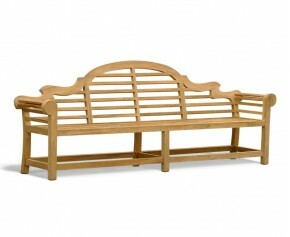 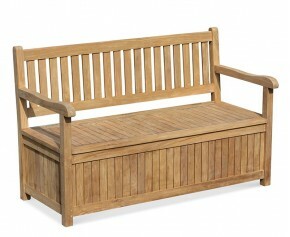 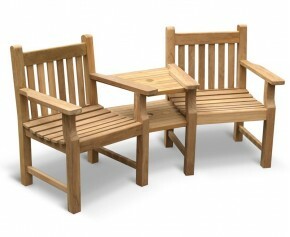 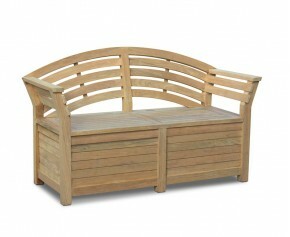 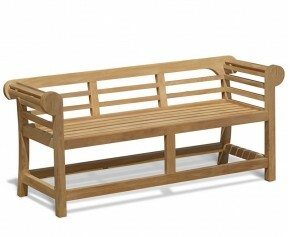 Expertly manufactured in plantation grown, Grade-A teak, this street park bench has been built to not only stand the test of time but to offer the same aesthetic appeal in years to come - making this 3m teak wooden park bench particularly ideal for deployment in parks, schools, hotels, museums and so on. 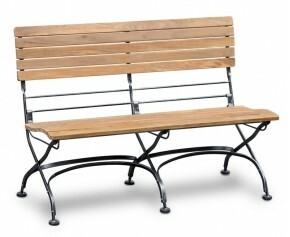 Featuring an elegant high back, chunky frame and specially styled wide arm rests, this durable park bench offers the ultimate in style and comfort and would look stunning in any discerning home or public setting. 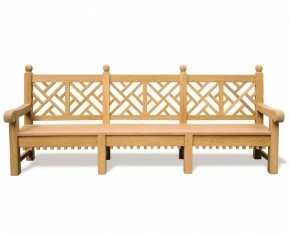 For an additional cost, a brass plaque or a carved inscription with the message of your choice is available with this 3m teak park bench.